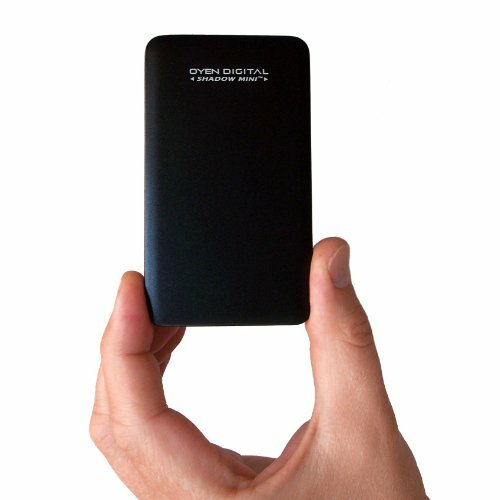 The Shadow Mini™ USB 3.1 SSD is a high-performance Solid State Drive (SSD) ideal for A/V professionals and power users who require the greatest combination of durability, portability and speed. With no moving parts, it delivers immediate access time — great for HD video editing. The stylish design features an ultra-compact aluminum body engineered to effectively dissipate heat and provide convenient portability. The Shadow Mini is capable of speeds exceeding 500 MB/s when connected to a USB 3.1 port — up to 15 times faster than USB 2.0. Powered by the USB bus, the Shadow Mini requires no external power adapter or custom drivers, making it the perfect portable storage solution.